In 2011, Italian symphonic power metal band Rhapsody of Fire moved in two separate directions. Guitarist/co-founder Luca Turilli, bassist Patrice Guers, and long-time session guitarist Dominique Leurquin amicably split from Alex Staropoli and the original Rhapsody of Fire to create what is now known as Luca Turilli's Rhapsody. Turilli considers the new Rhapsody to be a continuation of Rhapsody of Fire. Drummer Alex Holzwarth initially played for both Rhapsody iterations and recorded on Luca Turilli's Rhapsody's 2012 debut album, Ascending into Infinity. The Luca Turilli's Rhapsody lineage carries on with their latest release, 2015's Prometheus, Symphonia Ignis Divinus. Prometheus features Alex Landenburg on drums, as Alex Holzwarth was unable to fulfill commitments with both bands. Also, Prometheus, Symphonia Ignis Divinus marks the return of guitarist Dominique Leurqin, who was unable to tour supporting Ascending into Infinity after severely injuring his hand with a saw and spending months recovering. Prometheus, Symphonia Ignis Divinus opens with "Nova Genesis (Ad Splendorem Angeli Triumphantis)". 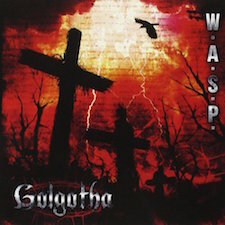 Along with the symphonic and metal elements one would expect from a Rhapsody album, there is also heavy use of feedback and an electronic beat. Male and female operatic vocals join the mix, and more string-based instrumentation builds. A deep voice, much like the one from movie trailers, narrates into the next track. Luca Turilli's music is often described as "cinematic metal" so this booming voice is fitting to introduce Prometheus, Symphonia Ignis Divinus. "Nova Genesis (Ad Splendorem Angeli Triumphantis)" serves mainly as an introduction, so "Il Cigno Nero" is the first full-bodied song from Prometheus, Symphonia Ignis Divinus. It begins with piano. Guitars, drums, and a crystal clear glass-like synthesizer are slowly added. "Il Cigno Nero" starts with both male and female operatic vocals, but the man soon overtakes the woman. The lyrics are in Latin and Italian, and the guitar solo is blazing fast and pure metal. 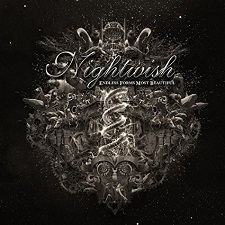 Prometheus, Symphonia Ignis Divinus' lead single is "Rosenkreuz (The Rose and the Cross)". 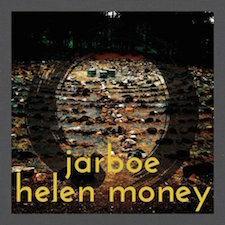 It is also the first track on the album to contain chiefly English lyrics, but some are in Latin as well. The intro reminds me of that popular '90s album with the chanting Benedictine monks. (It went platinum. Twice.) After the Gregorian introduction, "Rosenkreuz (The Rose and the Cross)" becomes fast paced with soaring operatic vocals from Alessandro Conti. The ballad-like lyrics tell the story of Christian Rosenkreuz, the founder of a secret medieval philosophical society. While Prometheus is never dull, some of its most interesting moments come with "Anahata" and "One Ring to Rule them All." The intro to "Anahata" is reminiscent of the theme from Star Trek crossed with something straight out of Zelda. The lyrics are mostly in English, and the vocals are soaring. The string arrangement has a darker side, and the vocals get darker in spots as well. "Anahata" gets faster and brighter, then it goes back to the darkness. It even has a bit of a Middle Eastern vibe toward the middle. It is a fantastic song, but there is definitely a lot going on--making it difficult to process the first few times you hear it. "One Ring to Rule them All" is Luca Turilli's ode to Lord of the Rings. Its lyrics are also English, aside from the lines that are in Black Speech, taken from the Elvish inscription inside the eponymous One Ring. Filled with literary references and adventure, this track also has the most overall power metal feel to it--particularly in Alessandro Conti's vocals. It is not short on symphonic grandeur either. Adding to the band's penchant for cinematic flair, a sinister voice calling out, "My precious!" will sound familiar to anyone who has seen the Lord of the Rings films. Completely switching up the pace is "Notturno". With solely Latin and Italian lyrics, this song feels the most like like opera instead of hard rock or heavy metal "with operatic extras." Conti is joined by a female singer, and their voices blend perfectly. "Notturno" builds into something quite heavy that isn't metal--but is certainly majestic. In contrast, "King Solomon and the 72 Names of God" is very much metal, or Luca Turilli's version of metal, that is. 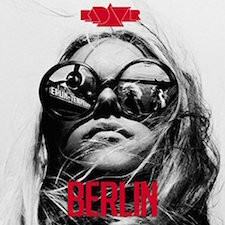 This track is raw and tribal, and it boasts a great deal of Middle Eastern influence. It has huge metal riffs on top of the existing symphonic bombast. "King Solomon and the 72 Names of God" is a bit of a spiritual journey, with references to the Kabbalah branch of Judaism. There are lyrics in Latin and English, but the substantial use of Hebrew is the most fascinating. As if Prometheus, Symphonia Ignis Divinus weren't colossal enough, it finishes off with the 18-minute multi-movement piece "Of Michael the Archangel and Lucifer's Fall Part II: Codex Nemesis." It is the sequel to "Of Michael the Archangel and Lucifer's Fall" from Ascending into Infinity. Like the opener "Nova Genesis (Ad Splendorem Angeli Triumphantis)" this track features some electronic elements and the narration from the big movie voice. Each movement is quite different. Some have Latin lyrics, some have Italian, and some are English. One named "The Astral Convergence" has no lyrics at all. The portion IV called "The Divine Fire of the Archangel" contains some of my favourite vocals from Prometheus. They seem to be the most theatrical, and Alessandro Conti sings with such an attitude that summons the spirit of the great Freddie Mercury. The final part, "Of Psyche and Archetypes (System Overloaded)" includes some blistering guitar riffs that fill this unconventional symphonic number with metal distinction. The simplest way to describe it all would be "Queen on steroids and in Italian". With a second album in tow, Luca Turilli is continuing his interpretation of the Rhapsody band and his unique brand of cinematic metal. 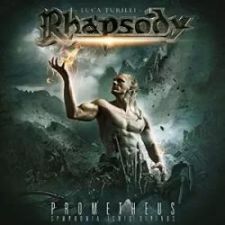 Prometheus, Symphonia Ignis Divinus is a magnificent collection of symphonic and operatic music, combined with hard rock and metal--all centred around diverse, intelligent, and captivating subject matter performed in seductive language. Despite being together since 1982, Armored Saint does not have the most expansive discography in metal. With members' equally notable projects, such as John Bush's tenure with Anthrax and Joey Vera having been in Fates Warning since 2000, when do they find the time to make it happen? It's been five whole years since Armored Saint released La Raza, but the wait for more has been worth it. 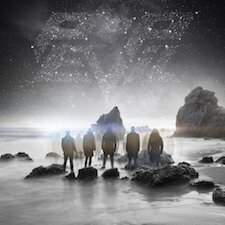 Win Hands Down, the band's seventh studio album, is an onslaught of classic metal sound mixed with some less-than-conventional aspects and emotional revelation. Win Hands Down begins with the lead single and titular track, "Win Hands Down". It has a strong bass line from Joey Vera, particularly in the intro. The bridge sees some ethereal prog rock influence, but the song goes back to pure metal by the end. With its hard and heavy riffs and John Bush singing a catchy and inspirational chorus of ‘Just maintain / then drop the reins / and place my crown / win hands down,’ this song is everything you could want from an album opener. "Mess" follows and is another hard rocker, but it is a bit more experimental. It has a mostly thrash feel, especially when ‘annihilate!’ is chanted. Then, out of nowhere, it goes into a Middle Eastern style, then transitions back into full on metal after the first chorus. Also in unadulterated metal fashion is "That Was Then, Way Back When". It features a classic Iron Maiden style galloping bass riff throughout. The guitars rage heavily, and there is a fun groove in the middle followed by a blistering guitar solo. 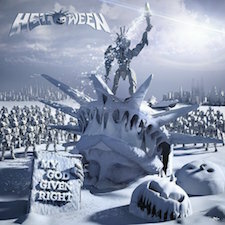 The lyrics are quite novel for a metal song, as they are about reliving the glory days of youth through social media. Win Hands Down has its share of slower, more thought-provoking tracks as well. "Muscle Memory", at 7:14, is one of the album's longer songs and has lyrics about keeping on for your family's sake and leaving a legacy. It is far from fast, but it still has a certain heaviness to it. The bass is prominent, and Gonzo Sandoval's drumming is the song's steady backbone. "Muscle Memory" is an emotional vocal masterpiece from John Bush, and the considerable use of backing vocals complements this well. The guitar solo is good, and it adds the perfect amount of hard rock flavour to an otherwise serious song. "Muscle Memory" stands out among the other tracks from Win Hands Down, and it is definitely one of the best. "In an Instant" also slows things down. Inspired by the tragic Boston Marathon Bombing, this song has an acoustic intro and verses--but turns to a fast paced electric rocker for the choruses. The lyric ‘The fragility of life / it can change within the blink of an eye’ sums up the theme. It features another great groove before an absolutely fantastic guitar solo. Just when you think "In an Instant" is going to end, it builds back up for another three minutes and contains another guitar solo that has a classic rock feel to it. Overall, this track probably has the album's best guitar work from Phil Sandoval and Jeff Duncan. Win Hands Down ends similarly to how it began. The finale, "Up Yours", boasts John Bush's grittiest vocals so far over subtle guitar strumming. 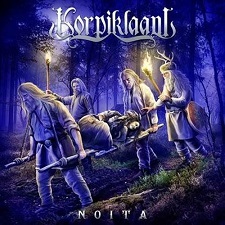 It quickly becomes raucous metal as a driving rhythm and heavier riffs are added in. The memorable ‘no more what ifs... no more what ifs...’ and kids shouting ‘up yours!’ make this song playful and nicely tongue-in-cheek after a few serious ones. The opener was so catchy, so it's only fitting that the closer is too. 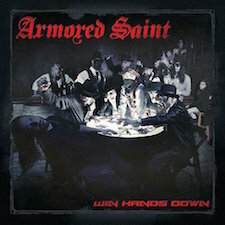 With Win Hands Down, Armored Saint does not necessarily stick to any formula. On some tracks, the whole verse/chorus/verse deal goes out the window to make room for extra guitar solos and bridges. 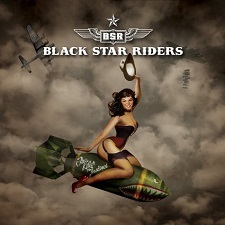 This album obviously has that Armored Saint sound that no other band has, but you can certainly tell the band is doing exactly what suits them. They do not worry about trends or critics, and Win Hands Down is a big "up yours" to those outside forces. Armored Saint knows how to stay true to themselves and can still deliver a product that fans will appreciate.